If you’ve ever wanted to see a lock without any water in it, this is your chance. 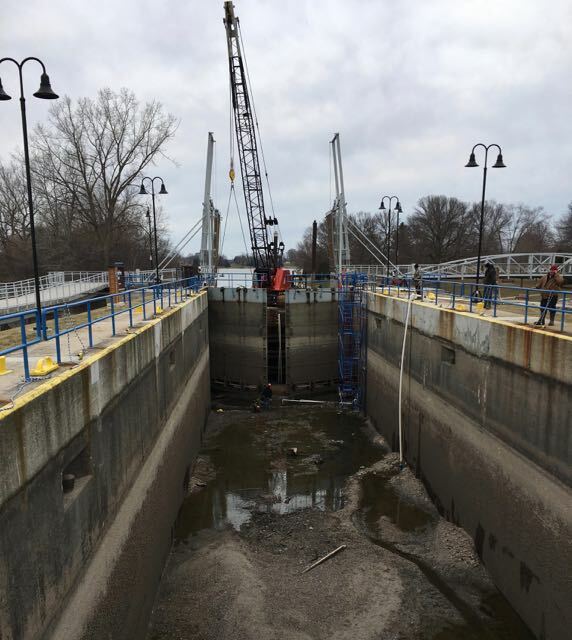 Maintenance work on the DePere lock on the Fox River will be completed by early May including repair of the lock gates, valves and operating machinery. Construction equipment has been in place over winter at the lock in order to effect repairs quickly as soon as weather allows. 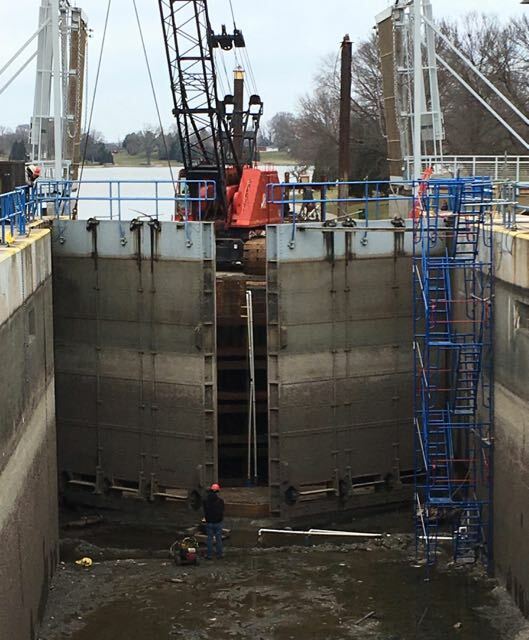 The lock is currently dewatered while maintenance crews repair hinge gudgeons and pins, valves and machinery, timber seals, turnbuckle adjusters and operating machinery. During the repair, equipment will occasionally block access to the bridge on the walking trail and the fishing dock.